Jacques Audiard, acclaimed director of A Prophet and The Beat That My Heart Skipped, returns with this powerful, tender romantic drama about two people from very different worlds seeking redemption in each other. 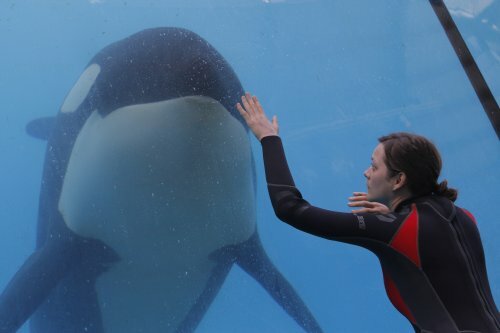 Marion Cotillard (La Vie En Rose, Inception) stars as Stephanie, a killer whale trainer who late one night meets Alain (Matthias Schoenaerts, Bullhead) in a fracas at the nightclub where he works as a bouncer. Put in charge of his young son, Alain has come from Belgium to Antibes to live with his sister and her husband as a family. 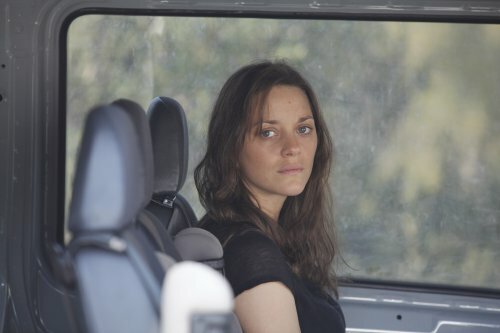 Alain’s bond with Stephanie grows deeper after she suffers a horrible accident, bringing the two together once more. 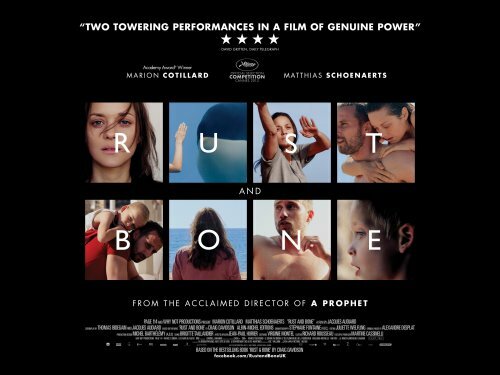 Rust and Bone is released in cinemas on November 2, 2012.